It's that time of the year again! 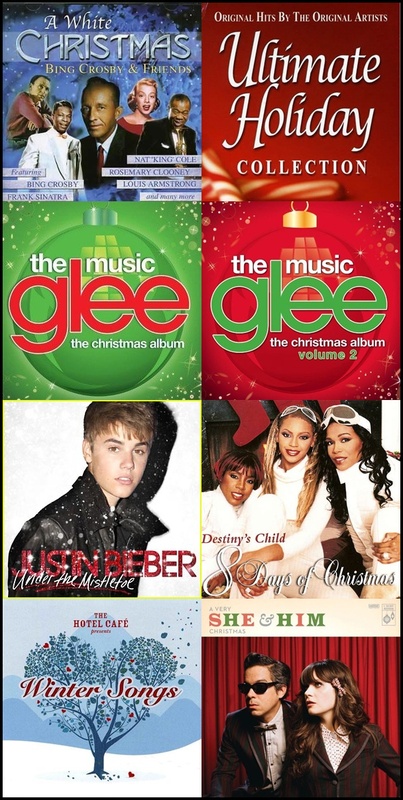 I've had my Christmas music out and have been listening to it non stop since the weekend of American Thanksgiving! I just love how happy it makes me and how my kids know all the songs and sing along with me. We dance around the house singing "Rudolph The Red Nose Reindeer," as loud as we can and it just makes my day. So here is what we're listening to this year. What are you and your family listening to this year? Any of the same songs as us? I'd love to know! I was very tempted to pick up those Christmas Glee Cd's when I saw them at Costco - are they good?